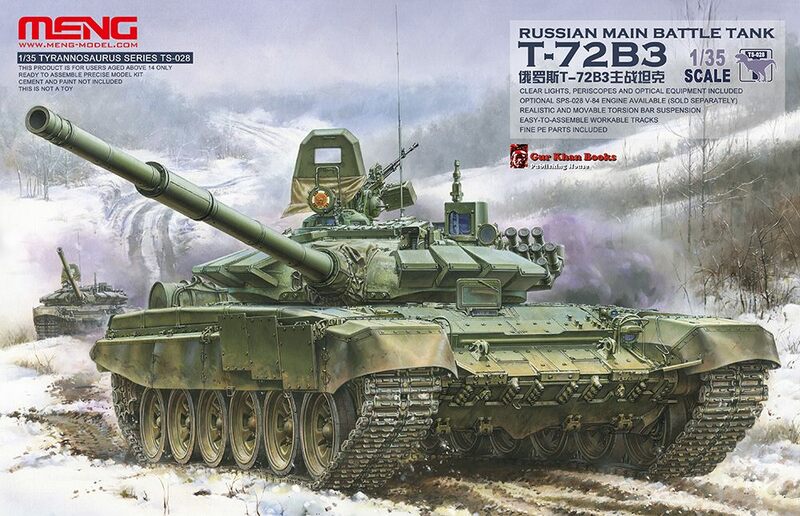 The T-72B3 is a development of the standard Russian-made T-72B series currently in service in the Russian army. The T-72B3 has significantly improved its combat characteristics with more fire power, protection, mobility and command controllability. 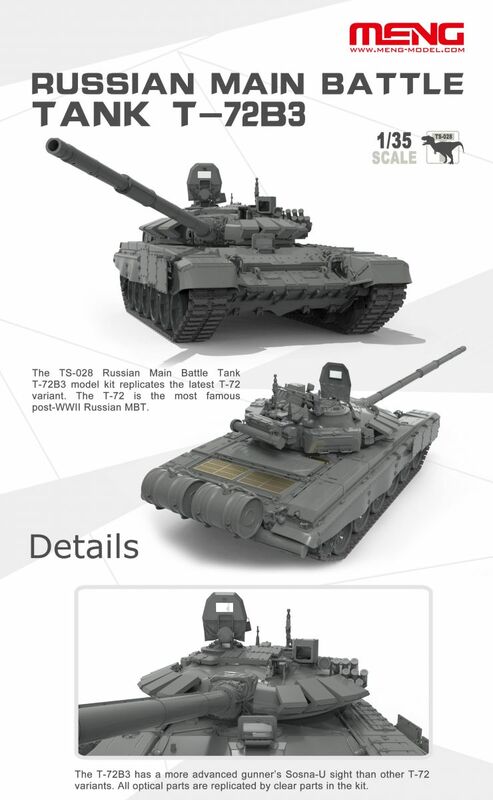 Besides the improved armor and targeting systems, it kept all the good features of previous versions of T-72. 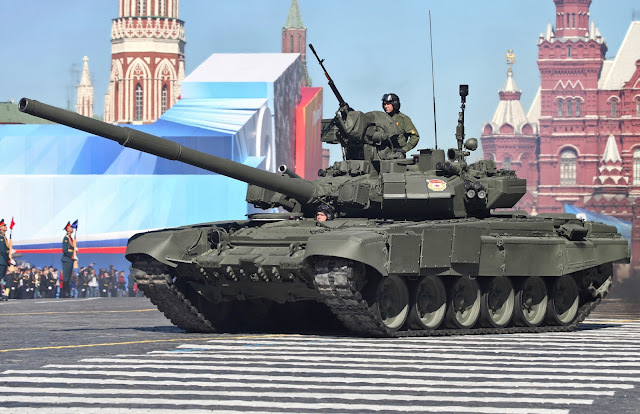 The modernized version of the T-72, which was a main second-generation battle tank produced in the Soviet Union since the 1970s, is equipped with new generation communications and firing systems and a ballistic data computer. The T-72B3 contract was performed by the Russian Defense Company "Uralvagonzavod". A contract was signed in 2012 to launch the modernization program for a total amount of six billion rubles ($150 million). Currently, the Russian army has some 8.000 T-72s on various variants in its arsenal (most of them in reserve). Russian Ministry of Defense has decided that all of them will be converted to a t-72B3 standard. By the end of the 2013 some 270 units were delivered to the Western Military District. 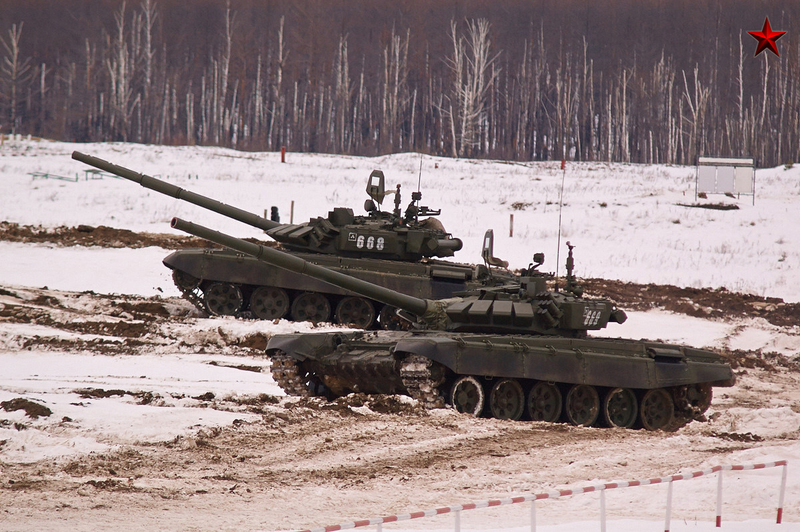 The T-72B3 is now become the backbone of the Russian armor regiments until the new Armata MBT will enter in service. President Vladimir Putin has allocated 23 trillion rubles ($703 billion) to re equip the Russian army with modernized weapons over the next decade. 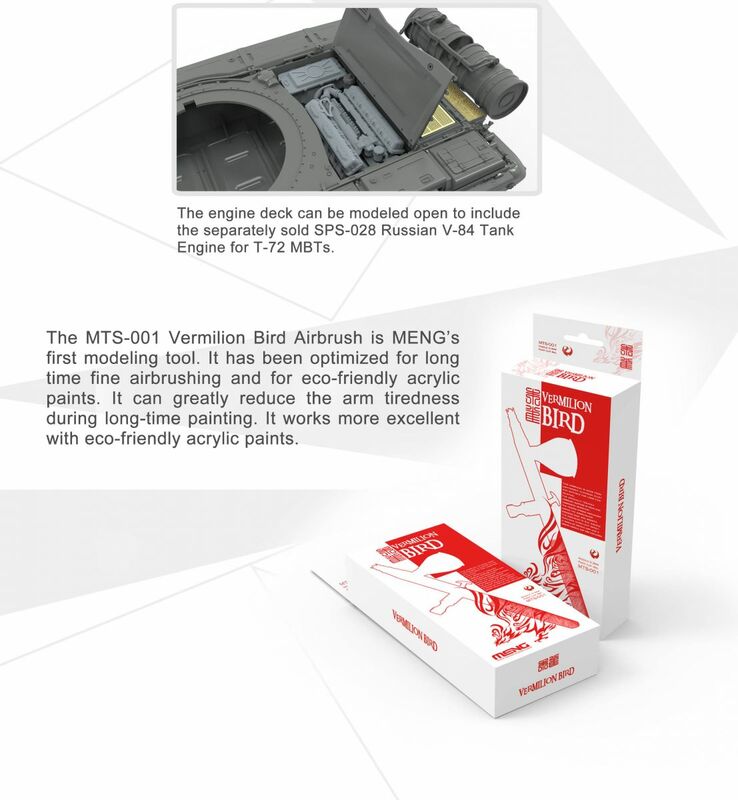 MENG want to express our gratitude to the Gur Khan Books Publishing House and Mr. Alexey Khlopotov for their authoritative reference materials. 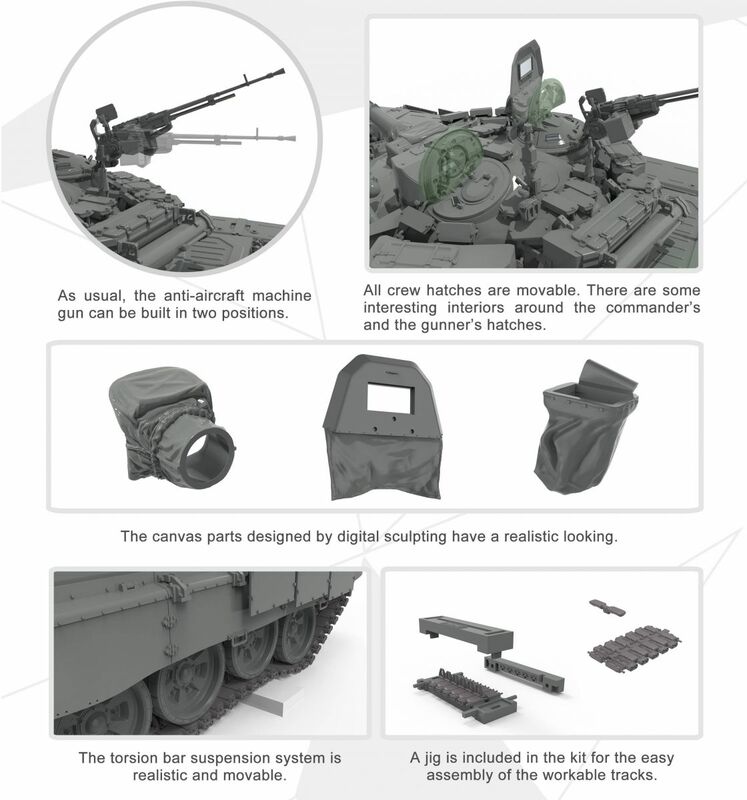 With such materials, they had the chance to present the accurate and precise MENG TS-028 1/35 scale Russian Main Battle Tank T-72B3 plastic model kit. Now, let’s take a look at the proposed feature set.